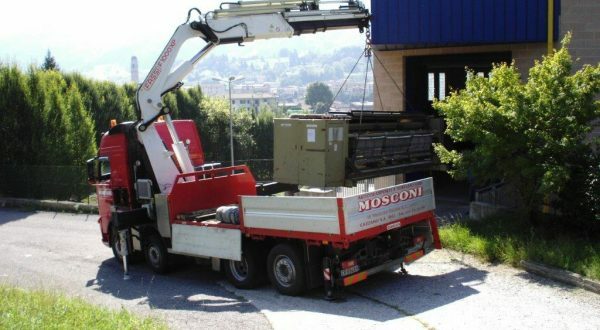 For over 50 years, Mosconi Trasporti has been carrying out freight transport on behalf of third parties, for all types of activities. 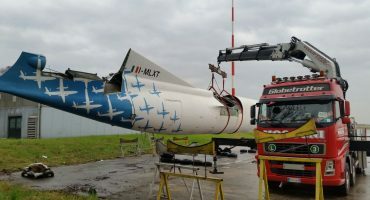 Its vehicles are equipped with hydraulic boom cranes, which allow for the removal and direct transport of material, equipment and machinery. 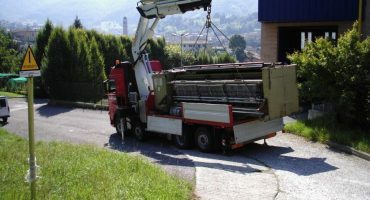 At the Cazzano S.Andrea/Bg premises, we are able to provide space for the storage of goods and logistics management. 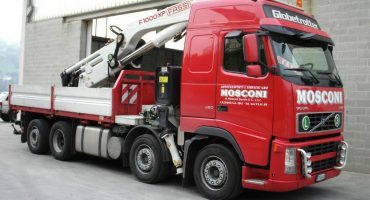 The Mosconi family is in charge of management and of the property, and it works directly on every phase of the services offered. 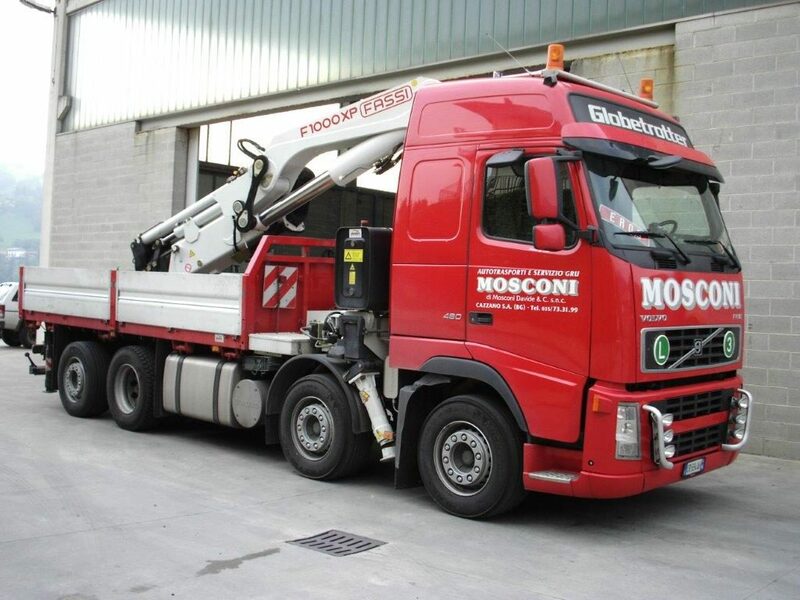 Our vehicles are equipped with hydraulic cranes for lifting loads of up to 20 tons. 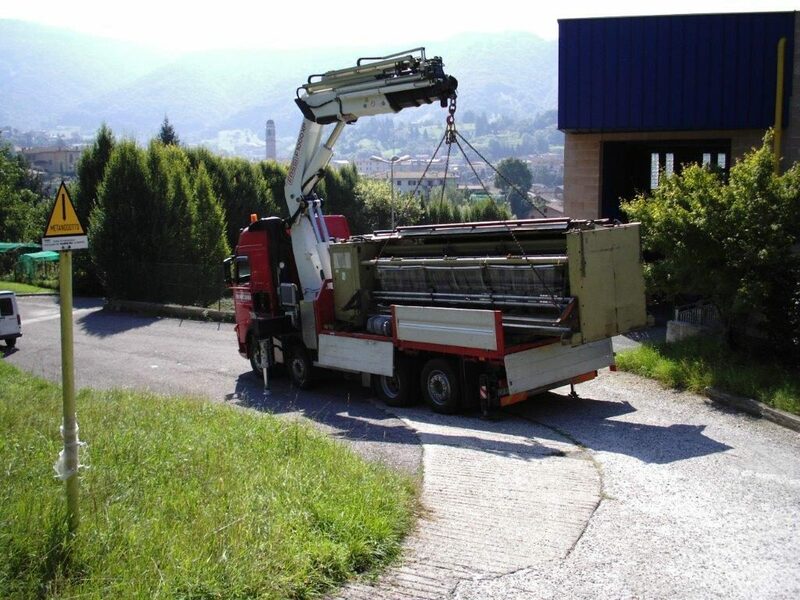 We carry out lifting services all over Italy, with the expertise and experience that has distinguished us for years with serious professionalism. 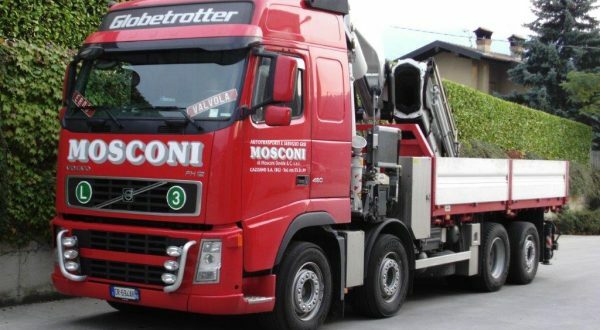 A leader in the industry, thanks to 50 years of proven experience and constant technical innovation, Mosconi Trasporti guarantees any type of industrial removal. 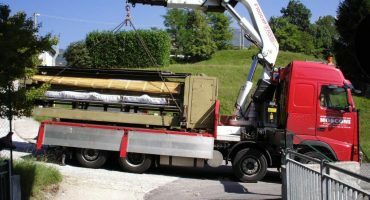 Thanks to our fleet of vehicles and to our highly qualified and trained personnel, we can carry out removals of machinery and equipment in short time periods. We are available for industrial removals throughout the year, including the months of August and December. Free estimates and surveys by specialized personnel for all-inclusive handling operations. 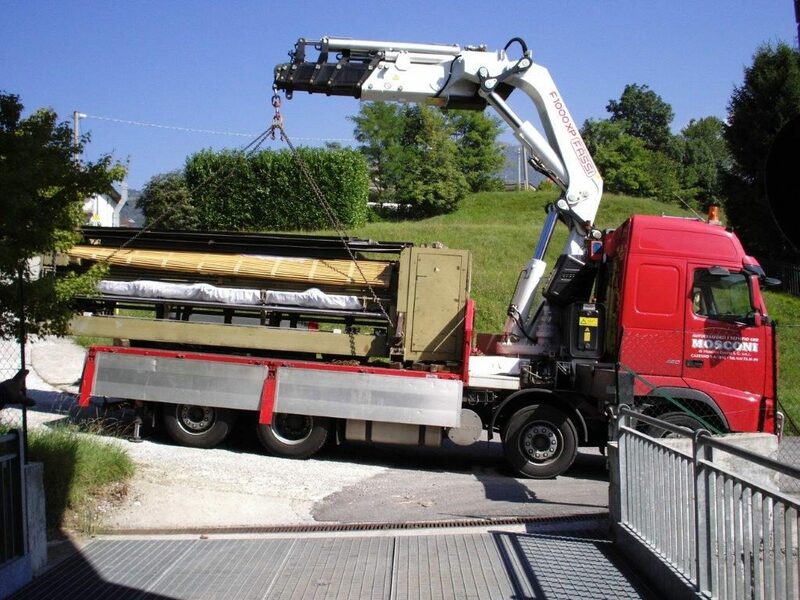 With our vehicles, we can transport, all over Europe and in very short time frames, any type of good entrusted to us. All our trucks are equipped with a satellite tracking system that can be tracked 24 hours a day. We can perform oversized (exceptional load) transport all over Europe. 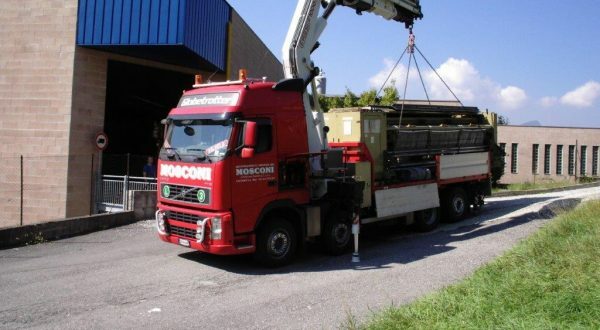 Mosconi Trasporti, upon request, can make available, at its premises of Cazzano S.Andrea/Bg, spaces that can be used for the storage of goods. A section of these spaces is shelved, so picking up or packing activities can be carried out for logistics services.